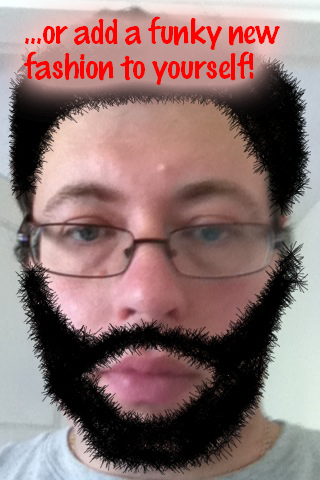 We are please to announce that the Child of the 1980’s FaceMaker App is now available on the iPhone/iPad/iPod Touch AppStore. Click here to download it today! One of the most linked to pages on Child of the 1980’s has been the post about Wooly Willy, the old magnetic drawing toy. Whilst dating back far further than the Eighties it was a toy that I certainly have fond memories of playing with. The idea was you had a picture of a bald man (named Willy presumably) and a handful of iron filings all stored inside a transparent plastic window. By stroking a magnet around behind the picture you could move the iron filings about, depositing them in different places to give Mr. Willy a hairstyle, moustache or beard of your choosing. As a gift then to you (assuming you have an iPhone, iPod touch or iPad of course) you can now download the FREE Child of the 1980’s FaceMaker App so you can recreate all this fun using your finger instead of a magnet. It’s even a little easier to use than the original toy as you don’t have to fiddle about moving the iron filings around – instead you just draw straight onto the image. 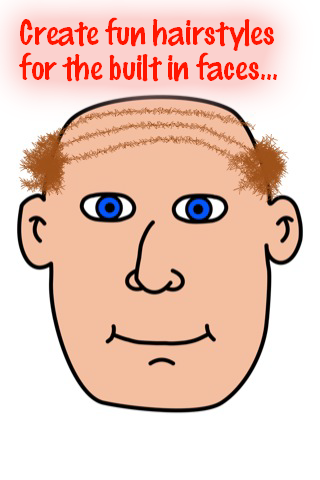 Other added benefits include changing the size and colour of the hair follicles you place down, a choice of male or female start images and best of all, you can even draw on an image of your own choosing taken from your image library or camera (assuming your device sports a camera that is). Click the following link to download the FaceMaker App from the AppStore. It’s a fun little distraction and it won’t cost you a penny!